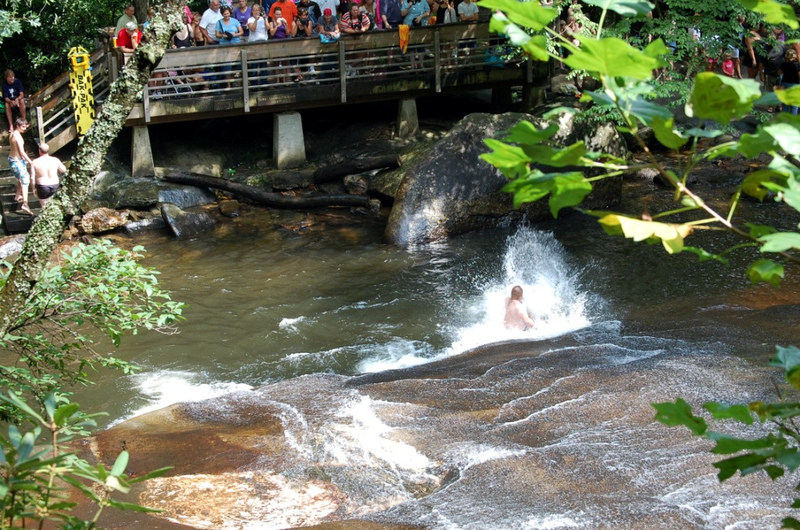 Sliding Rock: Natural Fun, Freezing Cold…Can I Go Again? 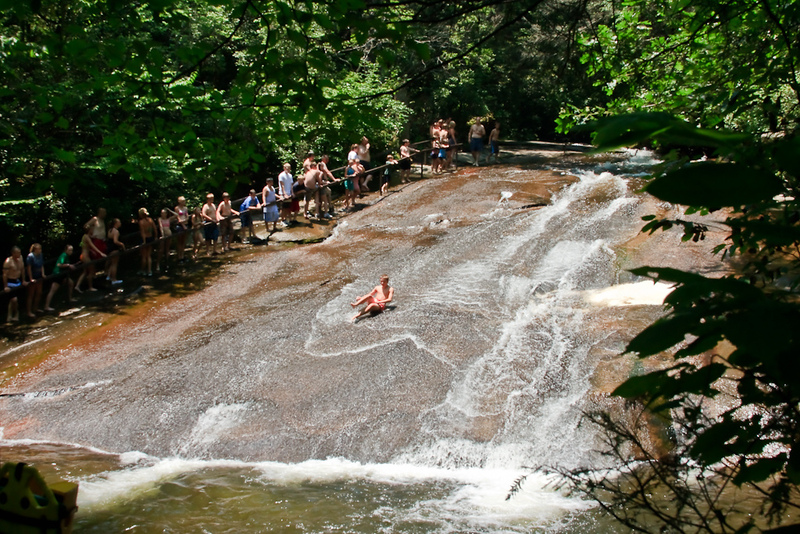 Sliding Rock is even better than it sounds. A naturally-occurring 60-foot waterslide that lands in a seven-foot deep pool. Surrounded by the trees and mountains of Brevard, North Carolina. Um, is there a limit to how many times I can go on the slide? away before you're even seated! People wore wading boots, tennis shoes, river shoes, and no shoes at all. 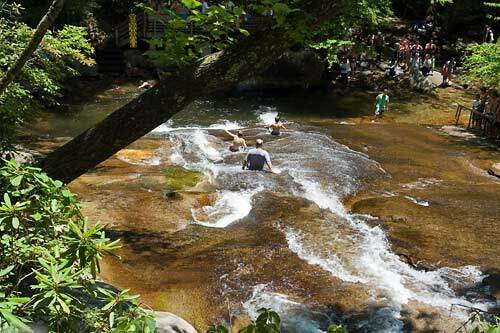 One woman navigated the rocky creek bed while holding a cigarette. It didn’t last two steps. A Troupe took over the slide and every single girl squealed. They wore goosebumps and life-vests. This was a delight for my inner child and for my actual self. What travel experiences have turned out to be perfect for both your young and real-age souls? Very, very fun, and very, very cold!!! !